The Italian writer, historian, humanist, and philosopher is the founder of modern political science, stemming in part from his book, "The Prince," which was published posthumously. He is also the inspiration for the word "machiavellian," which describes one who manipulates and deceives others in order to gain a personal advantage. Niccolo Machiavelli, born May 3, 1469, was an Italian writer, philosopher, diplomat, politician, and humanist. The son of a lawyer, he was born of nobility during the Renaissance in Florence, Italy. He was educated in the humanist fashion of the day. It was during the time of the Renaissance that many people began to drift away from Christianity, and Niccolo had about him the aura of secularism and intellectual independence. He is known as the founder of modern political science as well as political ethics, due to some of his writings. He analyzed and understood the character and strategies of the politicians of his day. He suggested using psychology in statecraft; and he wrote about creating societies and states based on how they are in reality, not what they should be ideally. His best-known book, The Prince, is the work from which is derived the still-used word "Machiavellian," which describes leaders' unscrupulous and cunning tactics in order to achieve goals, such as those in the book. Machiavelli and Plato are the only two classical political philosophers whose names are adjectives. As it turns out, the book is as relevant today as it was more than 500 years ago. It is also not typical of Niccolo's writing. He wrote The Prince, a practical guide to the use of raw political power, in order to try to win favor of the Medici family and regain the political power he himself once had. 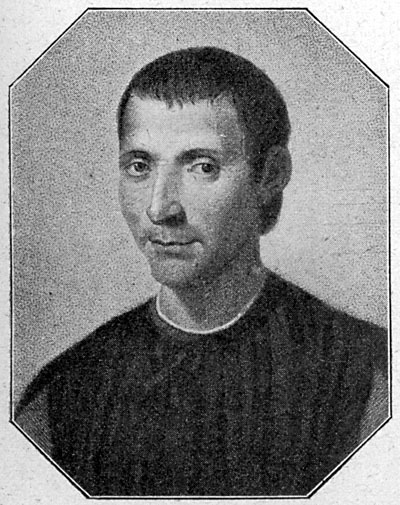 Niccolo also wrote poetry, carnival songs, comedies, and even published his personal correspondence. The House of Medici, which was the royal house of Italy as well as the family of four Roman Catholic Popes, two regent queens of France, and a plethora of bankers, was routed from power in 1494, and shortly thereafter, Niccolo was appointed Secretary to the Second Chancery of the Republic of Florence, where he served for fourteen years. During that time, he was a diplomat, carrying out numerous missions for the Republic, each of which provided fodder for his subsequent writings of The Prince and other treatises. In 1499, he was sent on a mission to deal with Catherina Sforza. It was she who inspired him to write about his idea that it is better to earn the confidence of people than to have fortresses. His mission in 1500 was to Paris where he was to meet with King Louis XII to get terms for continuing the war against Pisa. He made three additional trips to France and one to meet with Emperor Maximilian. He incorporated each of them into his writings as well. In 1502, he saw firsthand the brutality Pope Alexander VI and his son, Cesare Borgia exhibited in their quest to conquer more land for themselves. Cesare was a particularly ambitious and cruel commander as he attempted to take over land and power throughout central Italy. Shortly after that, Niccolo reorganized and led the Florentine militia in its defense of the Florentine Republic. All of this would shape his writing about politics and about political power and keeping it. In 1512, the Medici was back in power when the Spanish military defeated the Republican militia. Niccolo was tossed out of office and accused of leading a conspiracy against the Medici family. He was thrown in prison and tortured for three weeks before he was released. He went into self-imposed exile, and it was then that he began to writing political treatises. The Prince, his most notable book, is a pragmatic -- some would say cynical -- look at politics and political action. In it, he writes about the conduct of political leaders and dissects the amount of success they had in achieving their objectives. From there, he devised recommendations as to how one achieves political objectives. The main theme of the book is that the ends justifies the means and that even the most horrific acts of a ruler are justified by the wickedness of those he governs. Often, his recommendations were seen as counter to the common values of justice, temperance, mercy, wisdom, and love of those they rule over. He frequently explained that religion is created by man and that the real value of religion is that it defines social order. But he believed that fear of God could be replaced by fear of the prince, and that morals could be ignored if necessary. He died at the age of 58 in 1527, only weeks after the Medici's expulsion. This is a rather in-depth biographical profile of the author as well as details of "The Prince" as well as "Discourses upon the First Decade of Titus Livius" and "The Art of War." Along with a biography and outline of his library career, this site has sections which links to Machiavelli's works, in their entirety, on the internet, commentaries on those works, and links to works about him. Provides a profile of Machiavelli as well as links to other resources, including online sources as well as books. Also contains a portrait of him. Marxist.org presents this discussion of the life and times of Machiavelli as well as his major works, The Prince, the Art of War, and Discourses on the First Ten Books of Titus Livius as well as other writings. Search for Machiavelli, Niccolo on Google, Bing, or Yahoo!